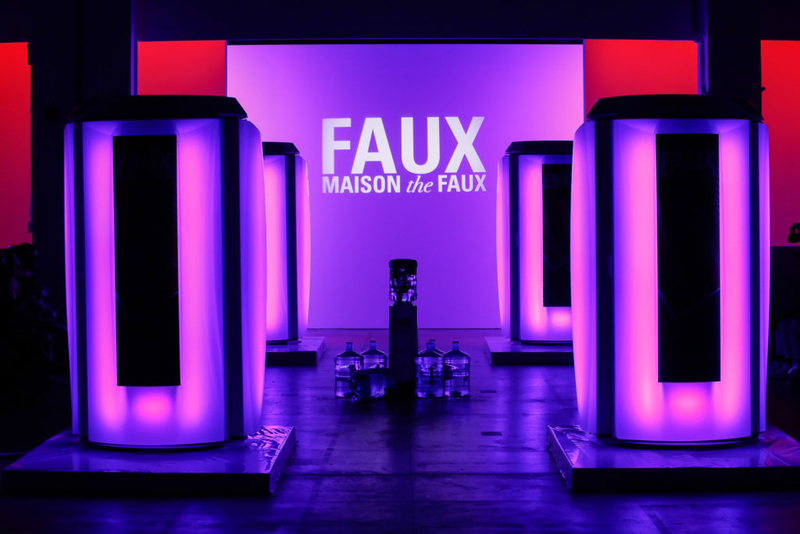 On the last night of the 27th Fashion Week Amsterdam MAISON the FAUX presented a unique spectacle. 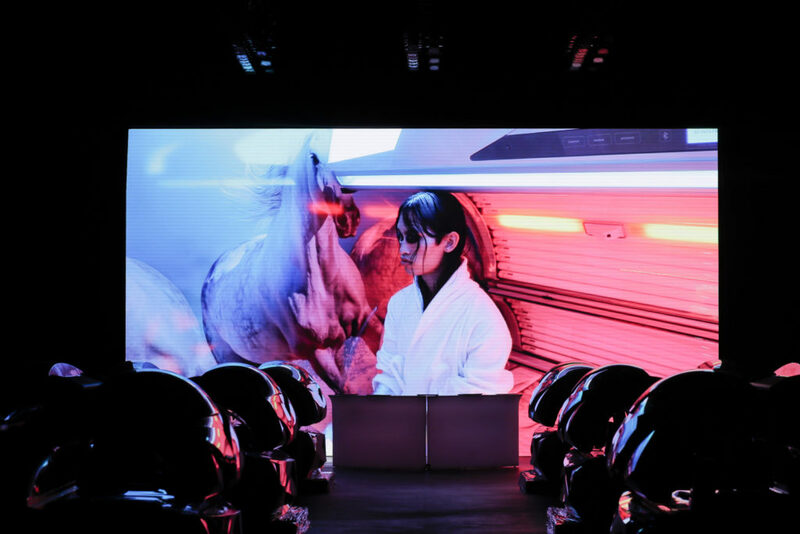 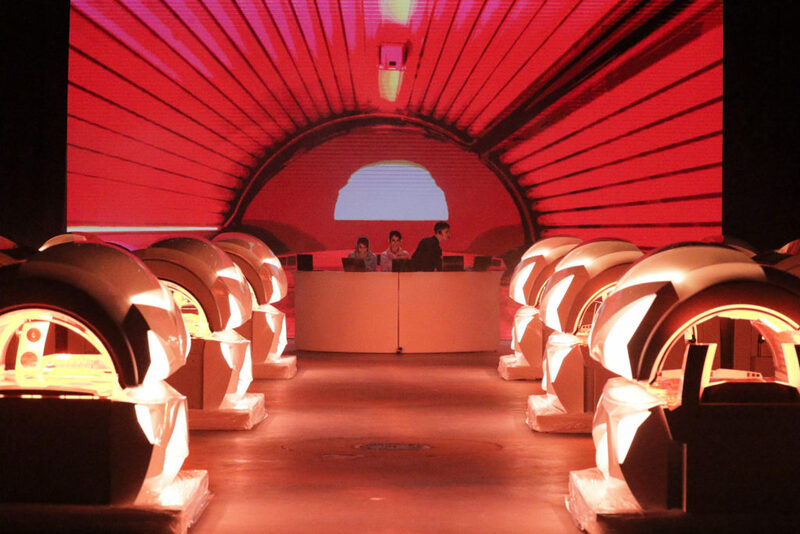 The fictional fashion house placed six sets of sun beds on the catwalk, along which their eccentric models hurtled past. 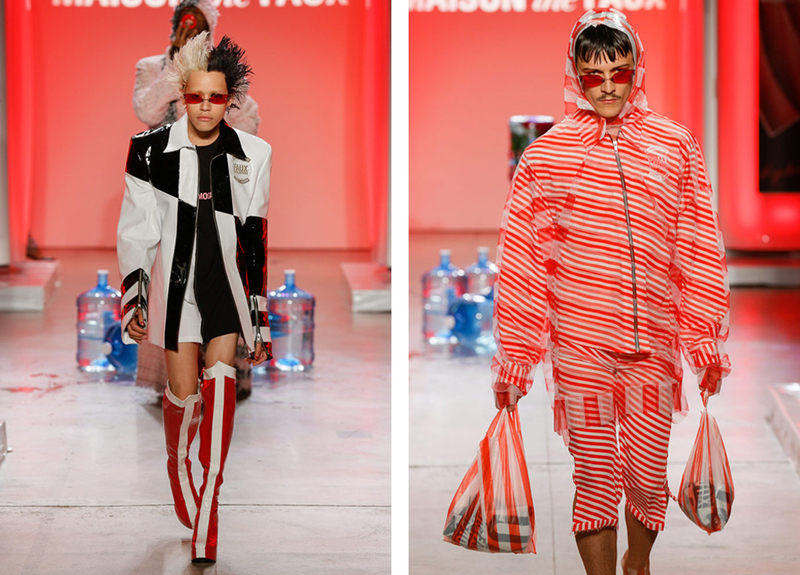 The show presented a transformation of a new and better world filled with ‘FAUXmosapiens’. 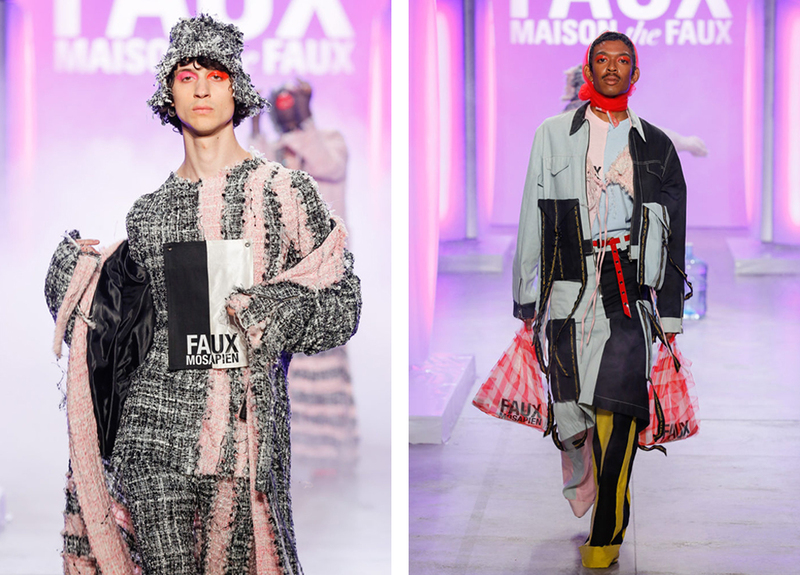 Maison the Faux posed the question: ‘Who are you really as a human being, who do you want to be, and what is FAUX (manufactured)?’ Through merging, mixing and combining strict rules and patterns an eclectic a diverse collection was realized. 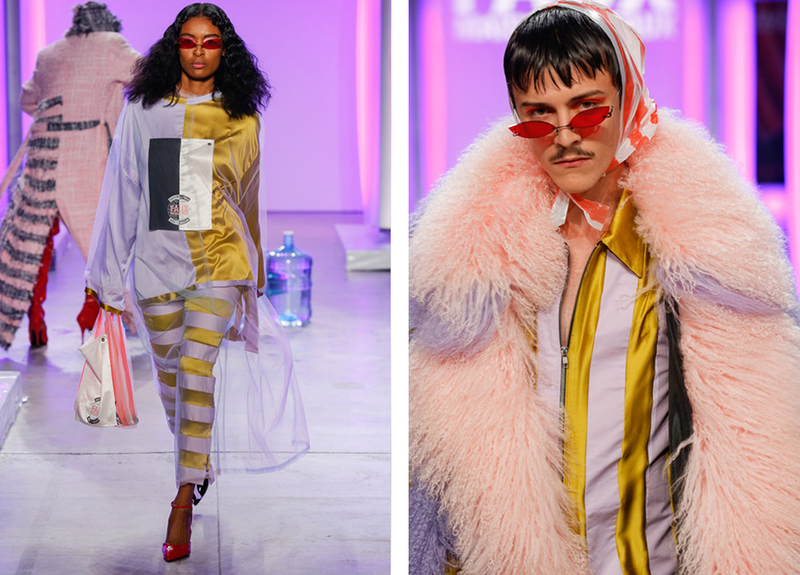 The looks were carried out in soft pastel colors, but the show itself could be called rather wild. 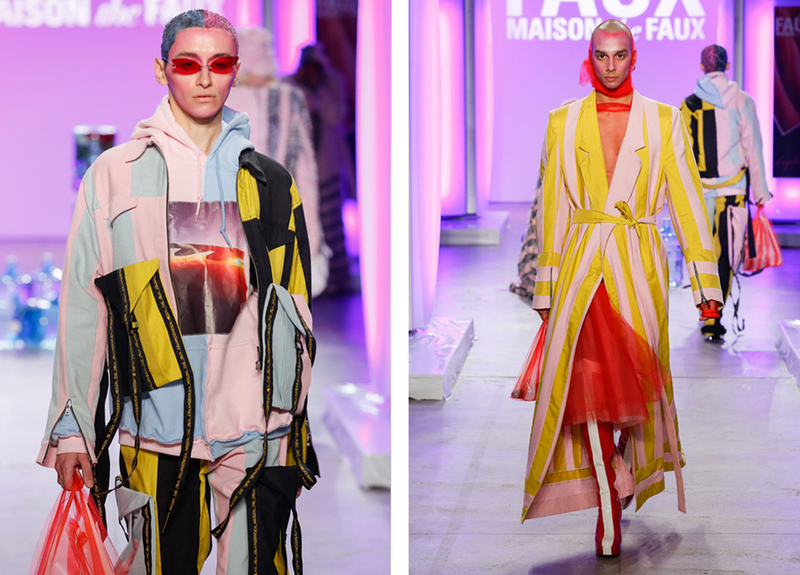 MAISON the FAUX is an initiative of Joris Suk and Tessa de Boer: a creative studio presenting itself as a great couture brand. 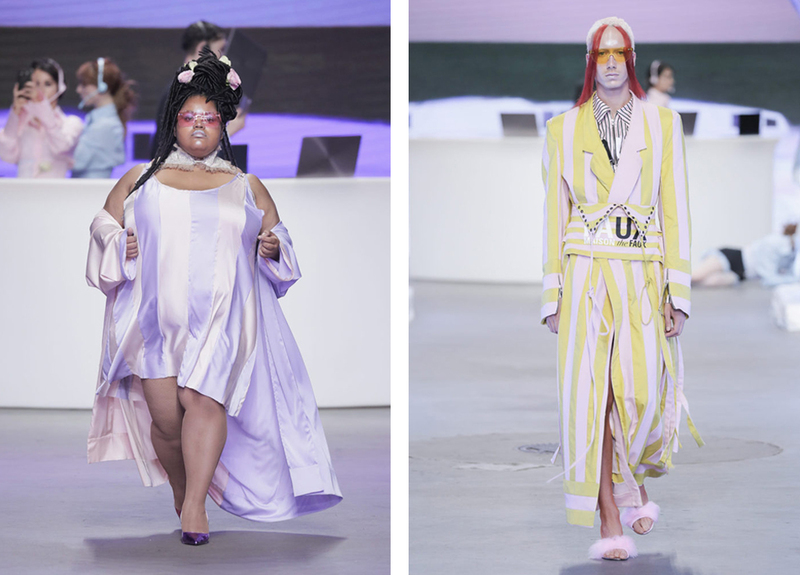 They themselves call their fashion house ‘a loving response to the current fashion system and a big nod to an audience that dares to move freely through an often narrow-minded (fashion) world’. 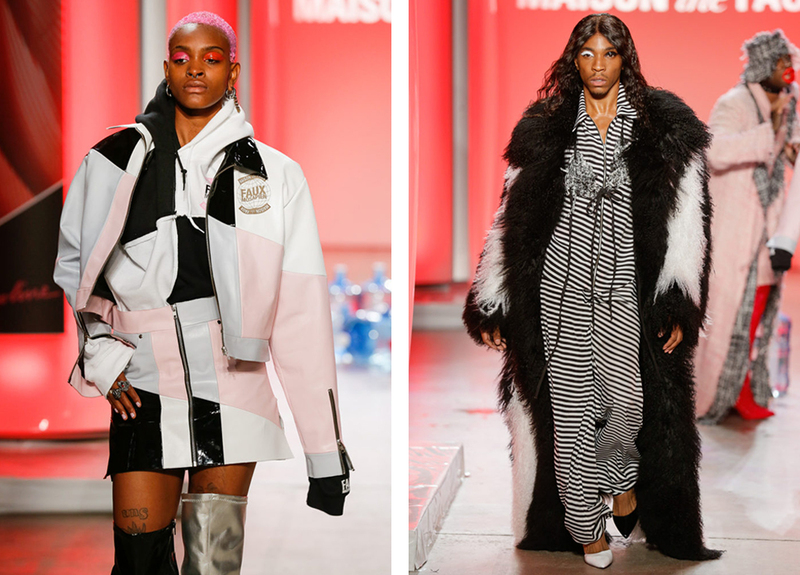 The collection got a follow-up during the New York Fashion Week with FAUXMOSAPIENS the Evolution’, a development of the concept and the collection.